Your weekly photo highlights of parkrun in Canada. Quelques photos de la fin de semaine au parkrun Canada. Can you believe North Bay parkrun is at event #20 already?! Congratulations to all the finishers this week! Smokey skies persisted in Calgary, but it wasn’t enough to put off this enthusiastic group of parkrunners! Let’s hear it for the kids at Whitby! It was amazing to see so many juniors, both running and volunteering. Week 10 at River Oaks saw 35 participants complete the course – and a special congratulations to the 8 participants who ran a parkrun for the very first time! 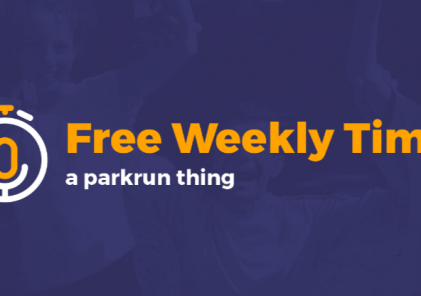 Join us on Saturday for another free, weekly, timed and FUN 5k!